InVision was the creator of the first explosives detection system certified by the Federal Aviation Association (FAA). Prior to Coltrin’s public relations activities, the company was not widely known in the industry or public. 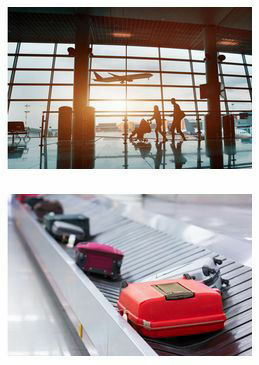 Coltrin & Associates generated awareness of the need and potential for explosive detection systems for checked luggage and strategically positioned InVision as leaders in this necessary field. Coltrin worked with InVision to create company identity, and solidify a market category and product. Once the market was defined, Coltrin established the credibility of the management team and differentiated InVision’s solutions from the competition. Coltrin drove company valuation and revenue by demonstrating a need for FAA certification and action. Coltrin supported the company launch, IPO, product launches and drive to meet Congressional mandate for 100% screening of all baggage by certified EDS machines imposed after September 11. Coltrin harnessed media attention to drive the creation of market acceptance for InVision’s explosive detection systems and brand the company as a leader in the industry. From the launch of this product, Coltrin & Associates generated more than 62 million impressions with media outlets such as CNN, CBS, ABC, Associated Press, TIME and The New York Times. As a result, InVision was viewed as industry experts leading the advancement of airport screening technology and was named “Fortune’s Fastest Growing Company” in 2003. InVision’s CEO credited Coltrin & Associates’ efforts for helping deliver the first $50 million in orders and validating the company’s IPO. The company was subsequently purchased by GE for $900 million.